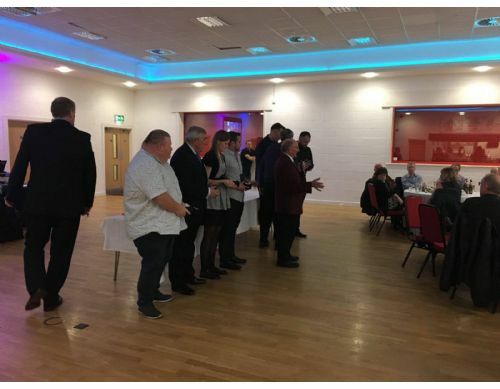 Peter Higham, 2016 BCGBA President and Ray Brandreth, CCBA Past President present some of our De-Knoop Cup winning squad with their individual mementos to commemorate their success. Well done boys and girls, a fantastic achievement. 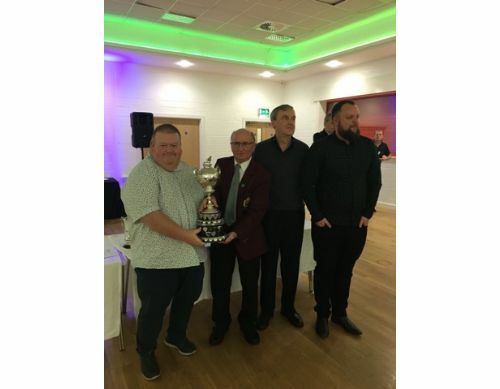 Peter Higham, 2016 BCGBA President and Ray Brandreth, CCBA Past President present Pete Conway and Gary Minton with the magnificent De-Knoop Cup. 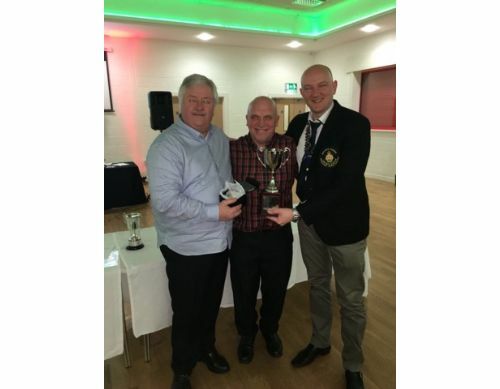 Keith Walden, Altrincham & District LV League Secretary presents Craig McGuigan, Team Captain and Jim McGurk with the coveted 1st Division Championship Trophy. 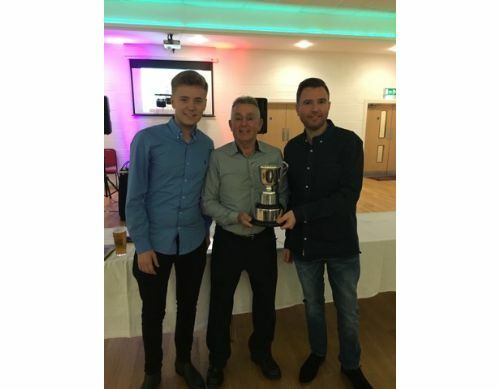 Dave Stott from the management council of the Altrincham & District LV League presents Matt Sands and Lee Fletcher with the 1st Division Knock-Out Cup. 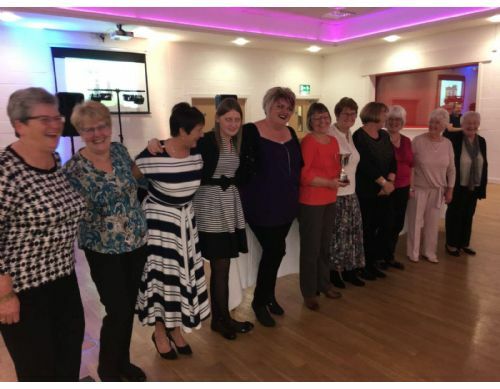 Lynn Pritchatt presents our Lloyds Ladies with the Cheadle & District Ladies League 1st Division Runners-Up Trophy … Let’s try and go one better next season girls. 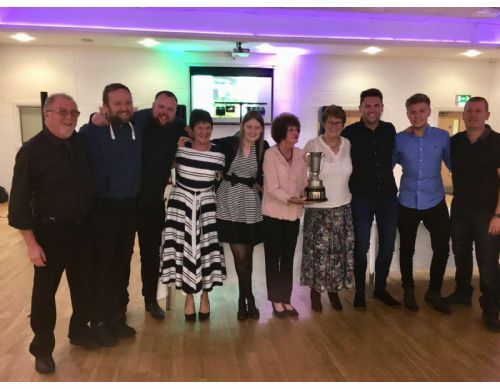 Linda Cooper, Chairlady of the Trafford Evening Bowling League presents some of our Lloyds mixed team with the coveted 1st Division Championship trophy. That’s 27 and counting boys and girls, amazing, absolutely amazing. 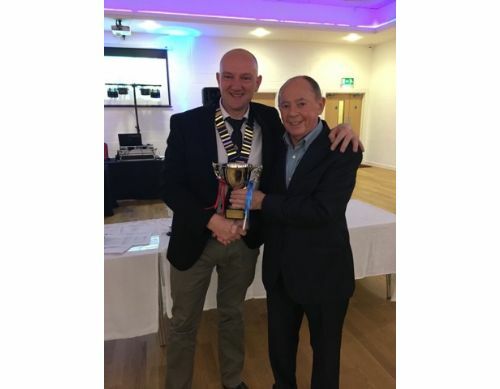 Jack Taylor, President of Metros Sports & Social Club presents Craig McGuigan with the superb Metros Sports Carlsberg Tetley 6 man team trophy.